American, c. 1900. 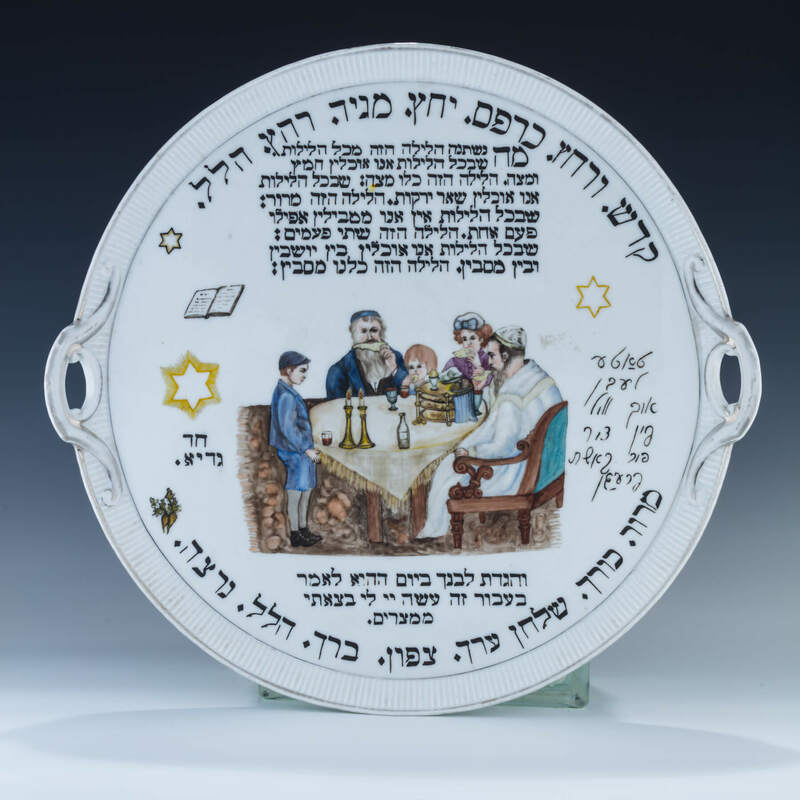 Decorated with the order of the Seder and a family Seder scene. 16” wide.